Almost 2 years, y'all. I really really reallllllly love my locs. At this point, they are more than just a hairstyle. They represent my growth. 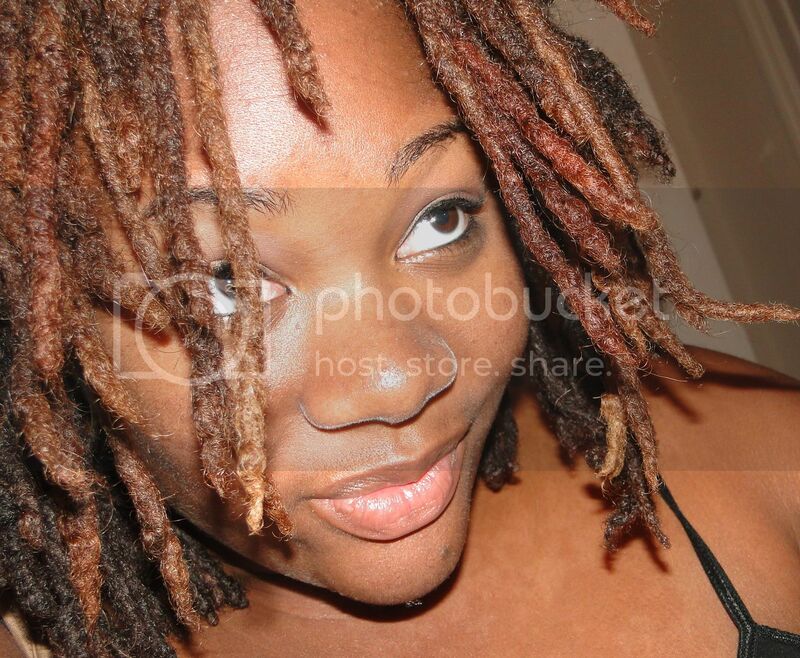 I started my locs at a difficult time in my life. No one knew it but I was extremely lonely and just...lost. 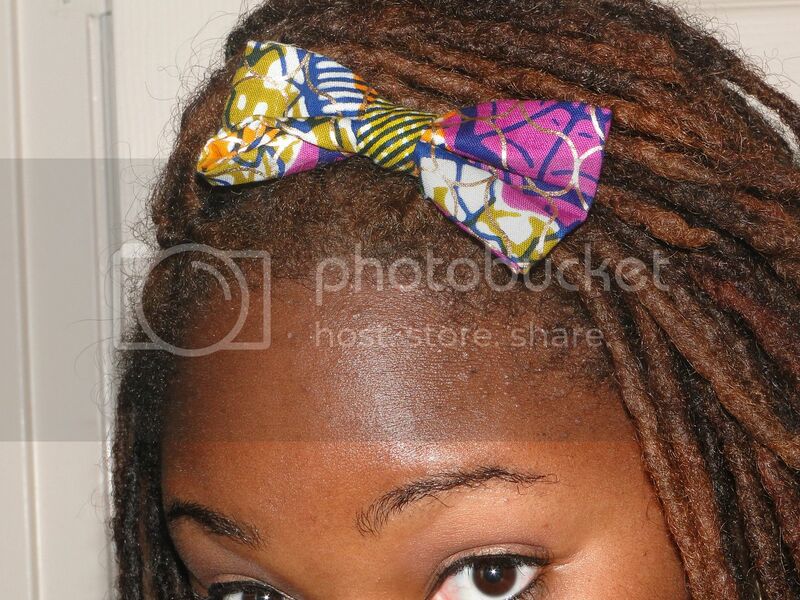 As I look back at my beginning loc photos, I almost tear up because I remember how sad I was at certain lengths. But as they grow longer, I feel like I am a happier person. One who has purpose and drive and ambition. The length represents my knowledge and wisdom. 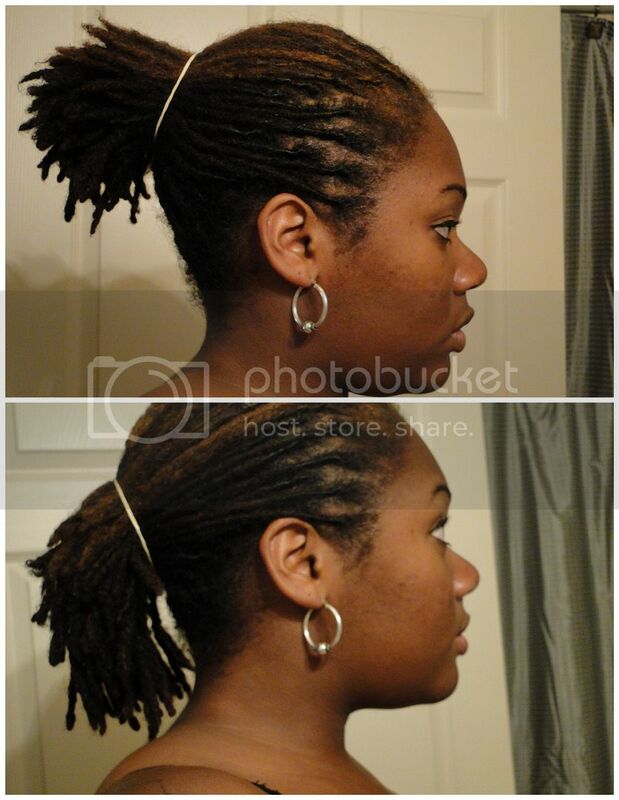 I mean, yeah...honestly, I started loc'ing thinking they were just...locs. But nope, they are becoming more. Does that sound loco or do some of y'all feel me? They are at a good place right now. Even after that horrific dye job. Which, like y'all said, I am beginning to embrace. They color isn't AS bright. It's still not what I want so I'll be visiting my loctician (and will never cheat on her again...unless it's with Felicia Leatherwood or Thierry Baptiste) and tweaking it until I get it right. And after that I'll be sitting down on the color for a few months. I catch a lot of heat from naturals who tell me that coloring my hair is oh so dangerous and bad for the health of my hair. I beg to differ because in all of my dye jobs, my hair has never reacted negatively. So oh bip potato chip! I haven't done any styles in quite some time because I find my scalp to be very sensitive. Why is this? I've never been tender headed a day in my life but I find it seems that my scalp is extremely uncomfortable when I'm rockin' a style for too long. So I stick with pretty bows. Keeps the hair out of the face and now that it's getting cool, the hair on the neck doesn't bother me as much. And then there are ponytails. A high and low one. Remember when I struggled to do a ponytail back in the day? Awww...memories. And let's do a quick blast from the past using my favorite model, the solider loc. Yep, we're growin'. Not that I care. Hair length has never been something that I focused on. In fact, I never really know how long my hair has grown until I do these update photos. I know everybody loooooves long hair but I feel indifferent about it. We'll see how long it will be before I chop these kids. Haaaa, I kid, I kid. Maybe. As far as maintenance, I keep it simple. -Wash with castile soap once a week or every 2 weeks. -Spritz daily with a rosewater/peppermint/rosemary blend. -Olive oil all over locs as needed. -Retwist when I feel like it. Maybe every 5-7 weeks. 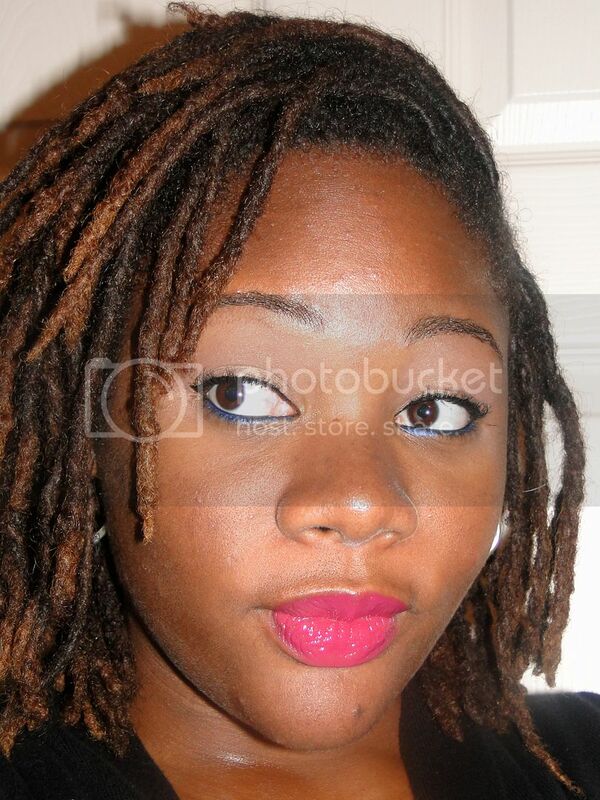 Although I do like to maintain the front row of locs every two weeks or so. I'll be investing in a leave-in conditioner soon. Due to my most recent dye job and the colder weather, I don't want my locs to be feeling all crispy and hard. Gotta maintain their softness! 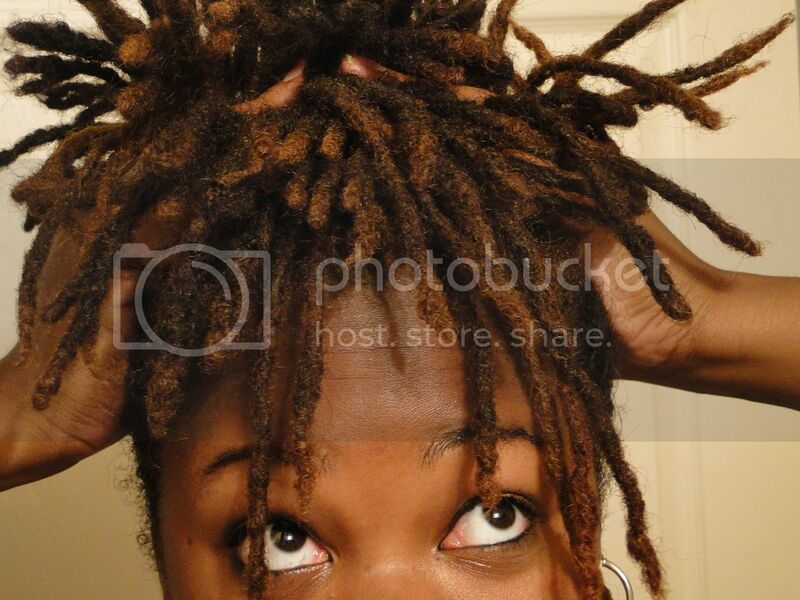 And I've come to the realization that my locs may always be fuzzy. Because my hair is fuzzy. I've always considered myself to have 4B/4C hair type, but looking at the roots of my locs, I may be a 3C/4A. Not that these codes matter but it certainly puts things into perspective. I can't tame the fuzzies and have gleefully quit doing so! 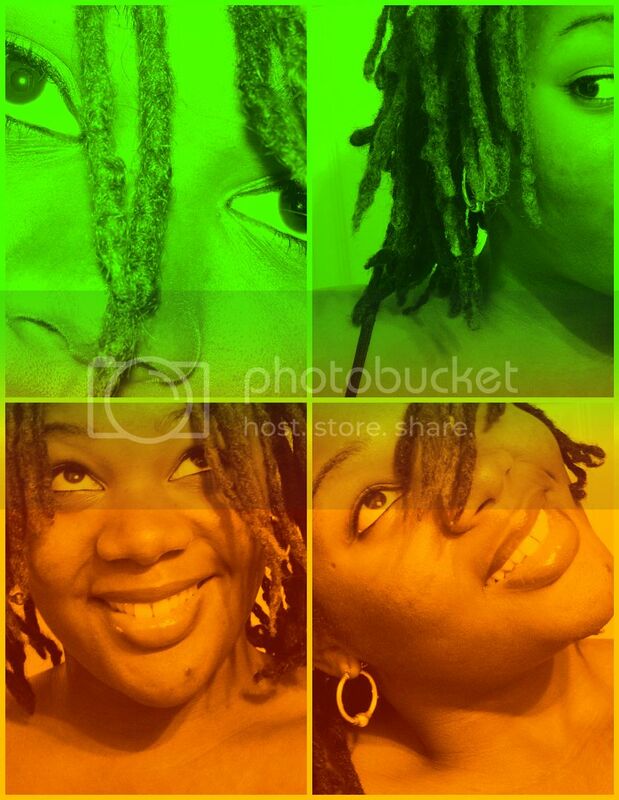 Aww babe you and your locs look AMAZING! I've loved following your journey and you (plus others like NESSessary ;-D) give me hope for mine. 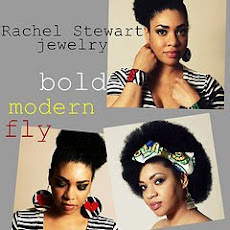 Rock those locs girl!!! 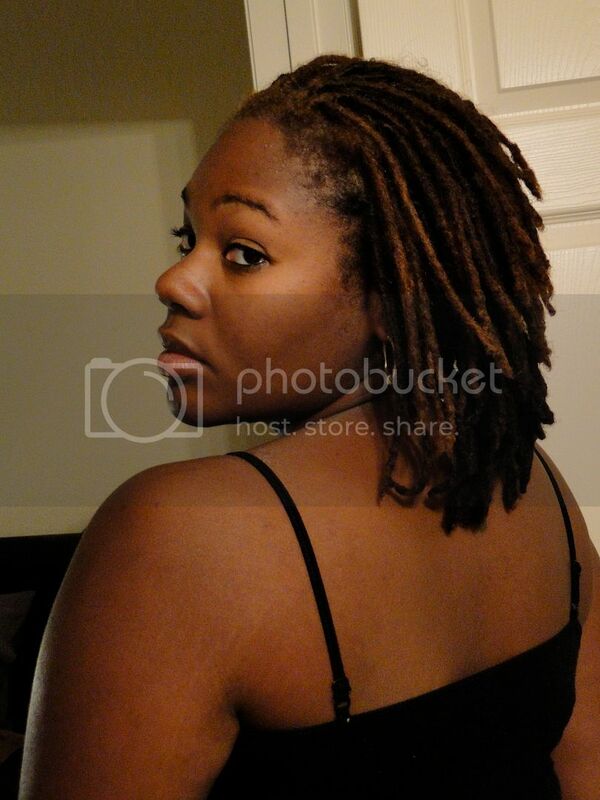 Your locs are gorgeous. I love the color. 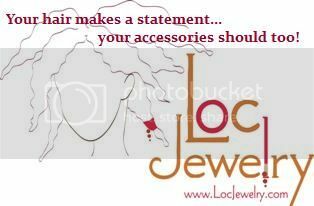 Thank you for being a loc inspiration to us all on our own loc journey. I understand how you feel about long hair. Mine are starting to touch my ear and it's getting on my nerves. But nothing a hair pin can't fix. Anyways, keep up the good inspiration. 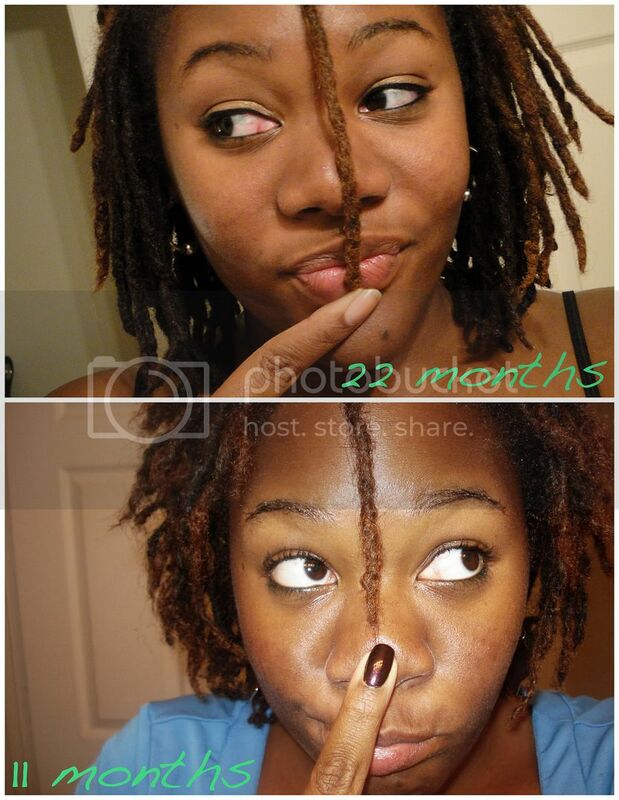 Locs are looking very lovely! I have the same issue with my scalp being more sensitive now too. I think it comes from lack of combing so when we apply any pressure to our scalps now it's just more sensitive. That's my hypothesis lol! @expanding beauty good theory...I can only leave my hair up for a short time. I noticed when I get it done at the shop it stays up better with out getting sensitve, wonder why it does it when I do my own hair. So it only stays up when I eat and cook so my hair wont get in my food. Usually I put it all in one big braid. Wow, your locs are grooowing. I know how you feel indifferent about long hair. u and ur locks are adorable! Your locs are gorgeous. I love looking at these pics so I know what I am striving for. Anywho, my lovely....I am restarting my journey in 2 hours!!!! YOu were right there when I cut my 4 year olds thinking that it would help my prospects of getting a job that I really wanted....Well guess what??? 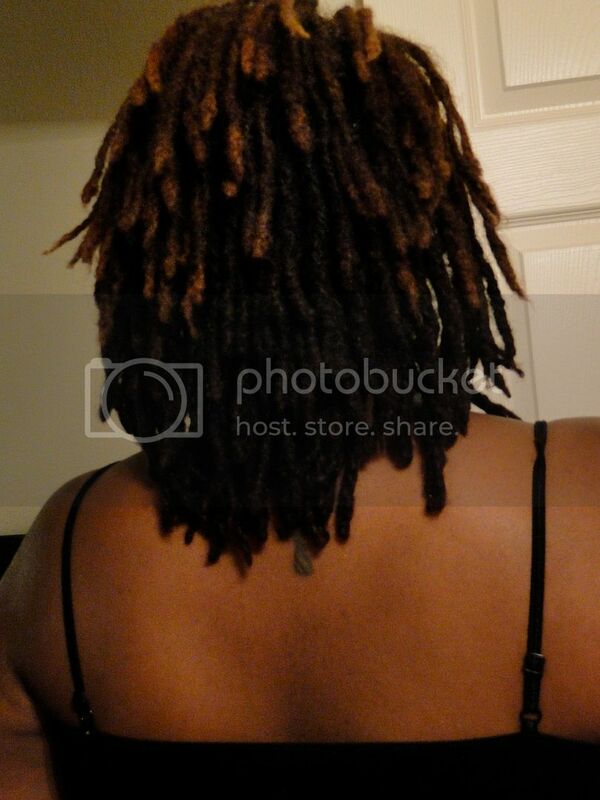 I got to the interview and my boss has BEAUTIFUL locs down her back...I learned my lesson!